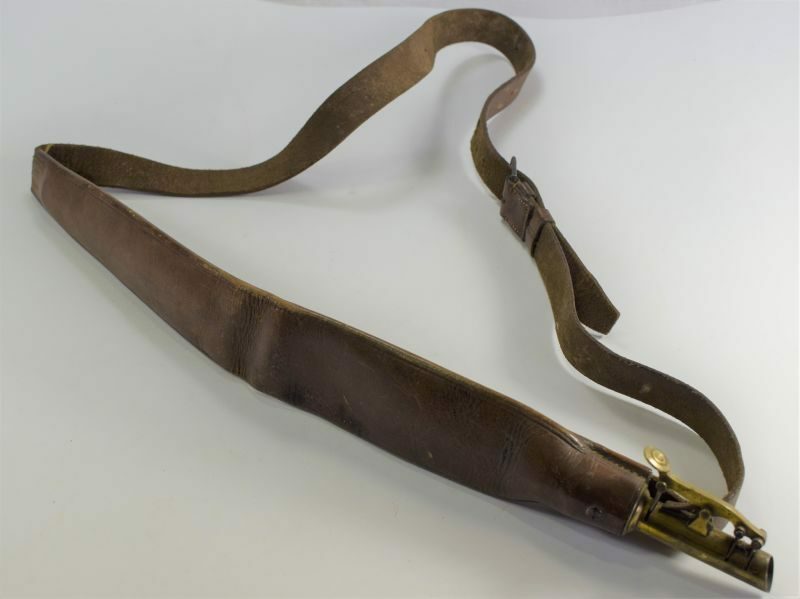 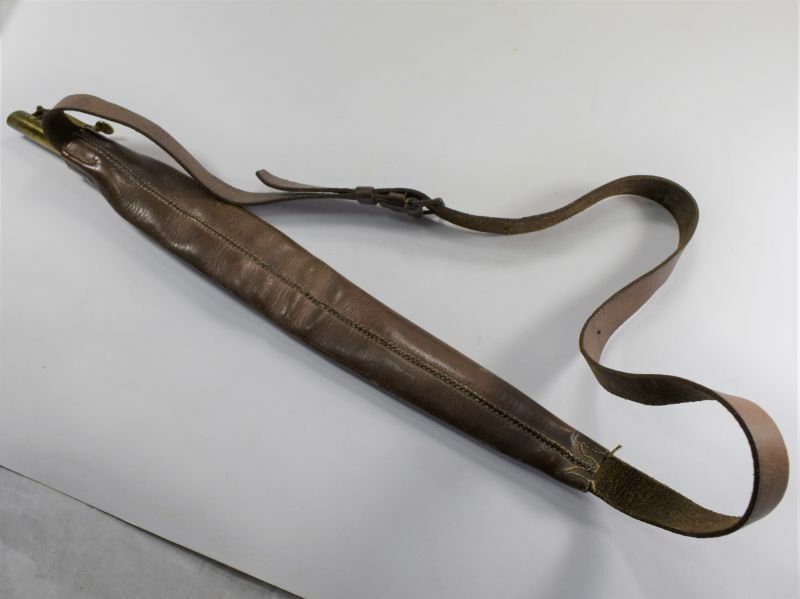 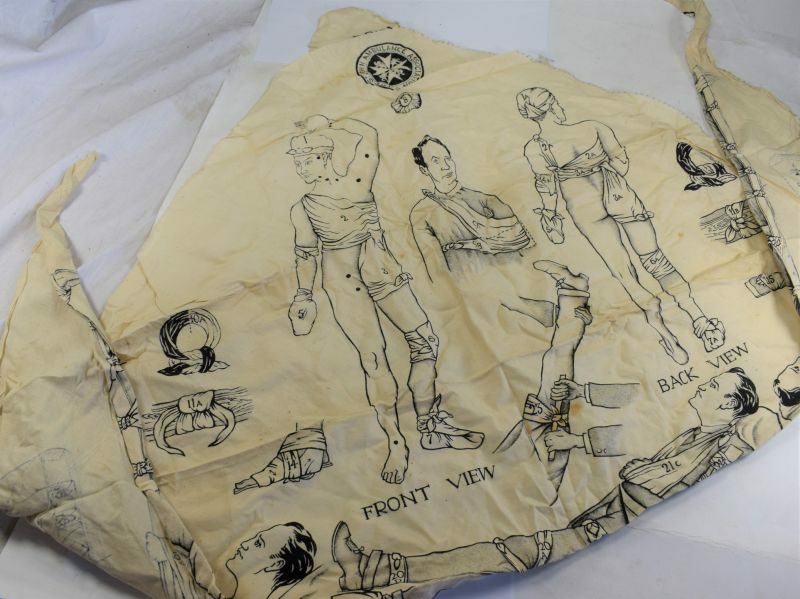 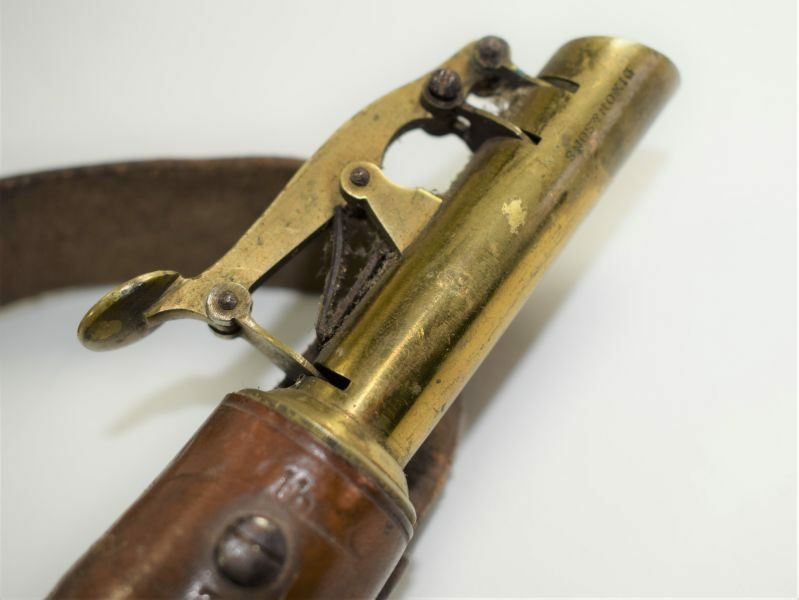 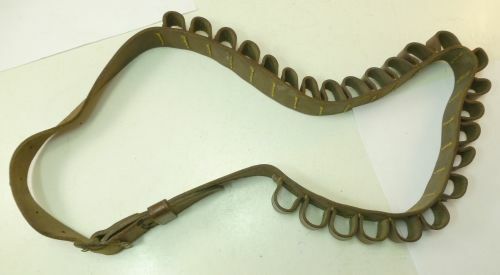 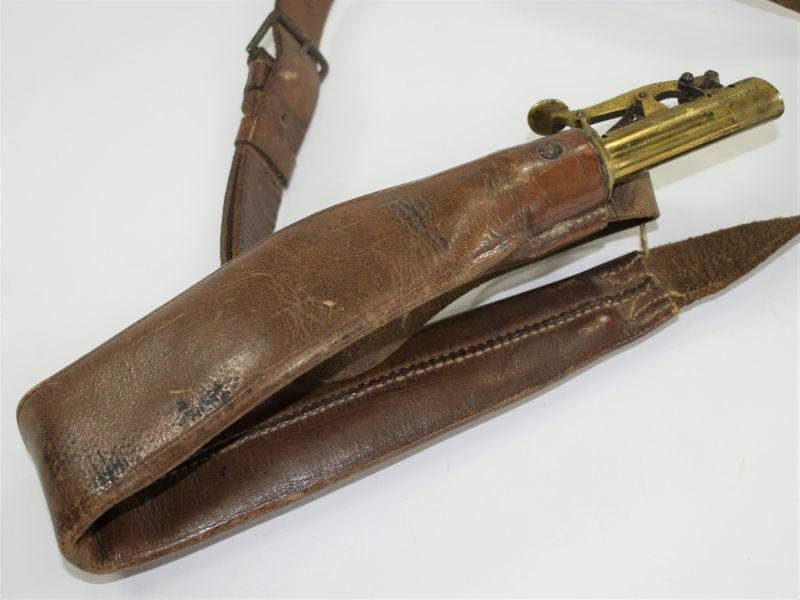 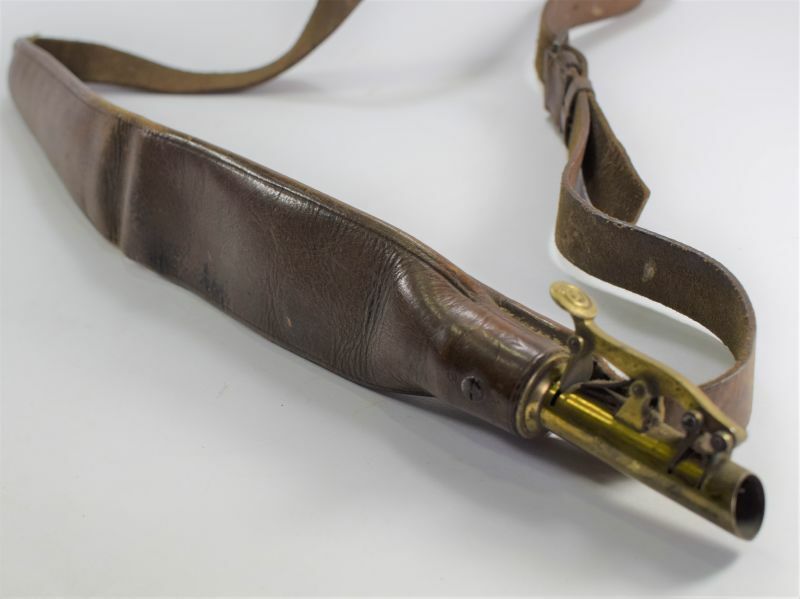 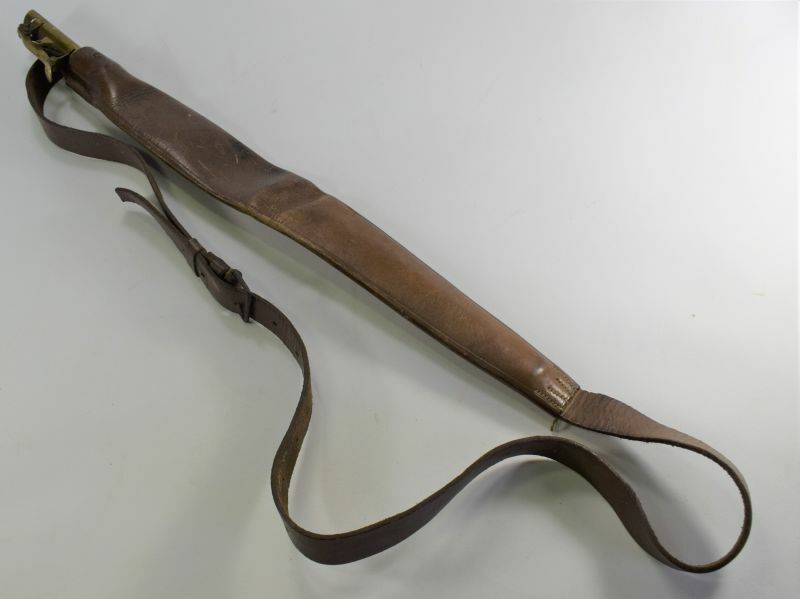 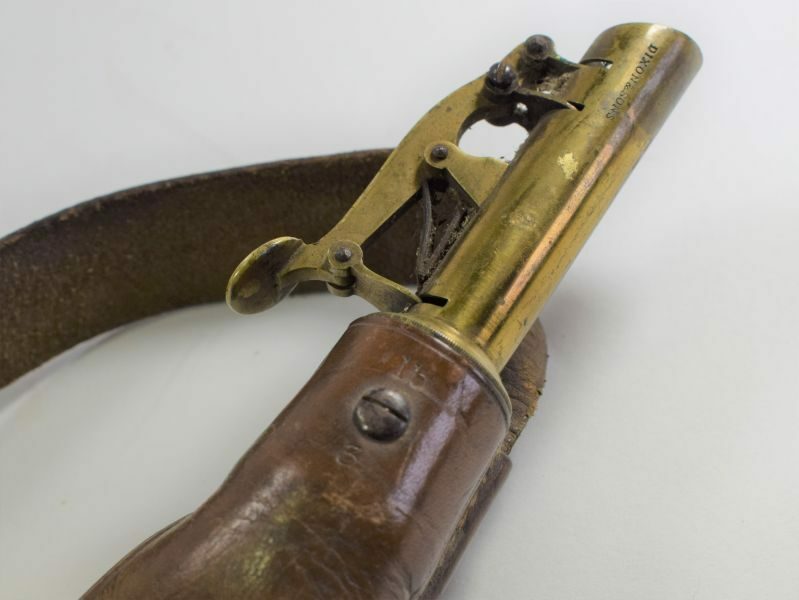 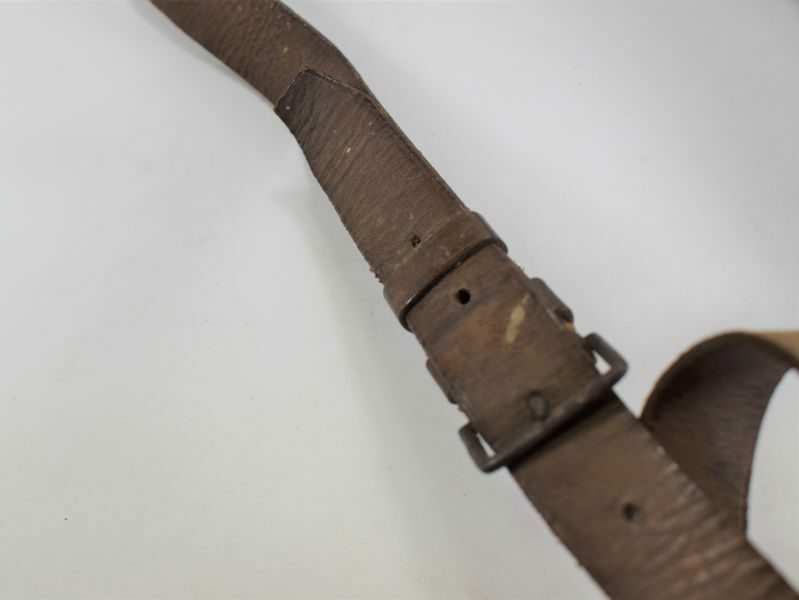 An early leather bag/bandolier to hold lead shot. 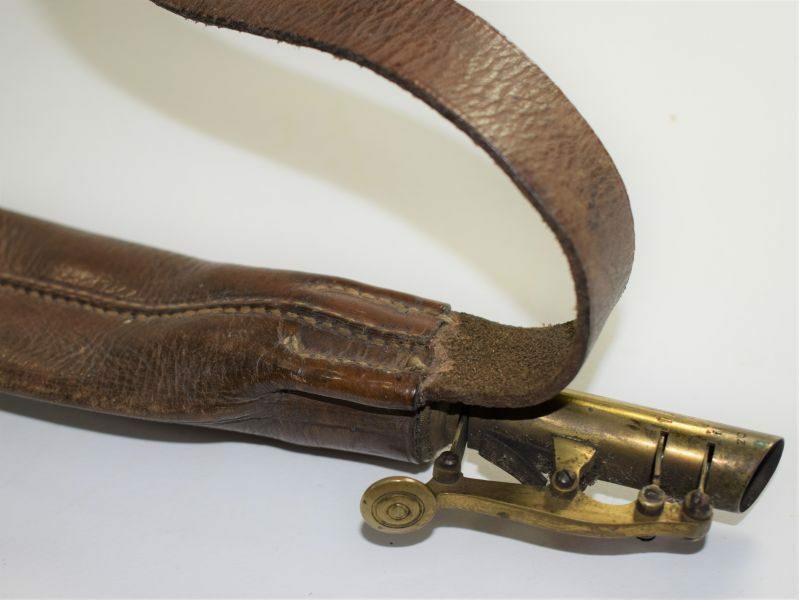 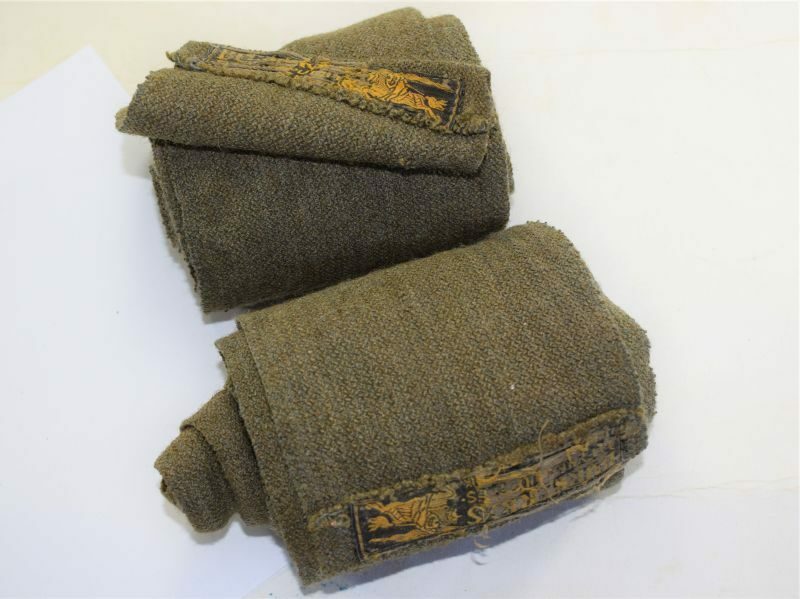 The bag itself is 15 inches in length not including the brass measure, it is still around a quarter full. 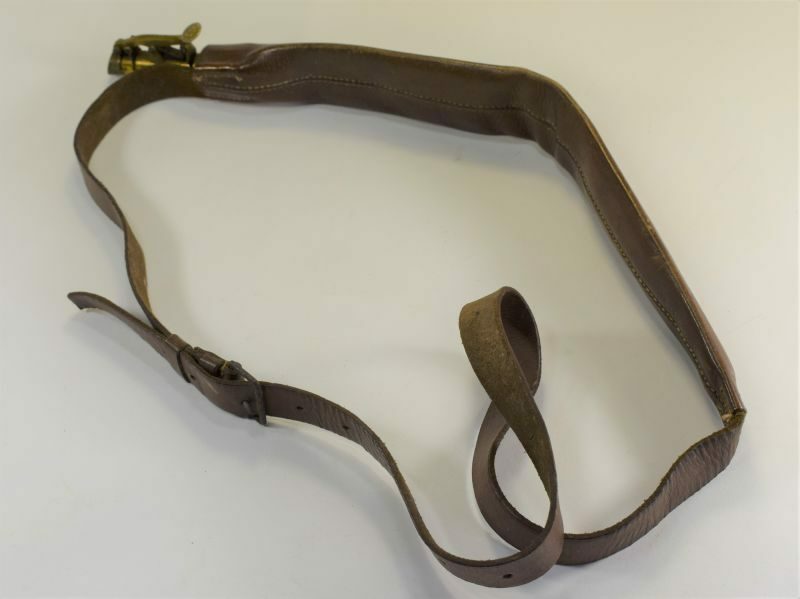 The leather is all in excellent soft supple condition although a good clean and polish would not hurt, The shoulder strap and buckle adjuster is all excellent and allows it to be worn on the back, front or over the shoulder. 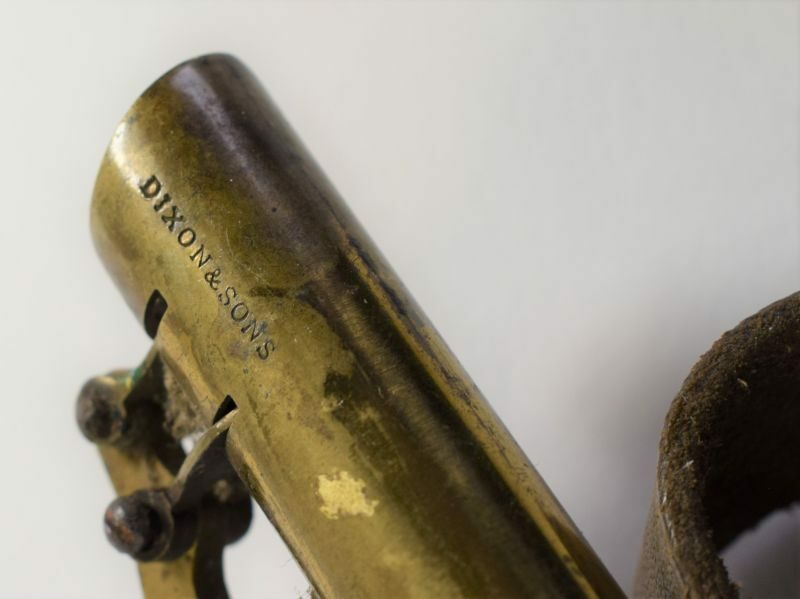 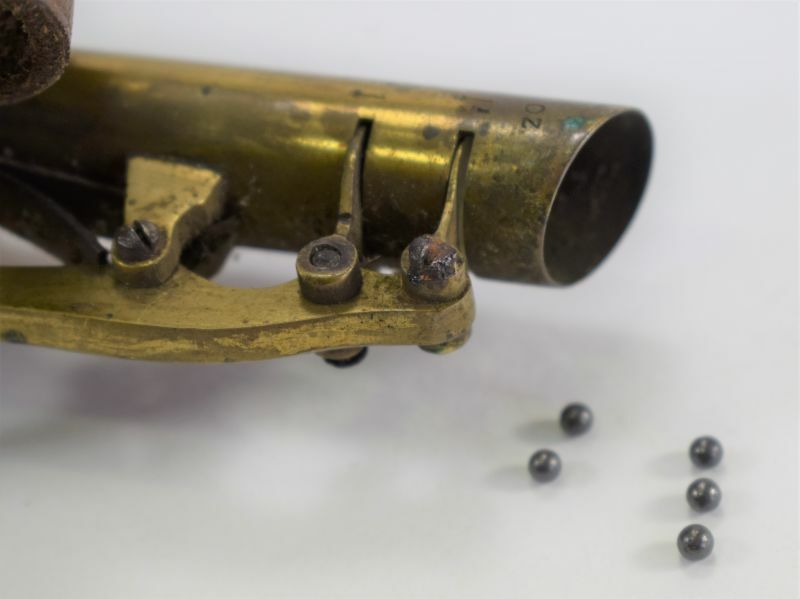 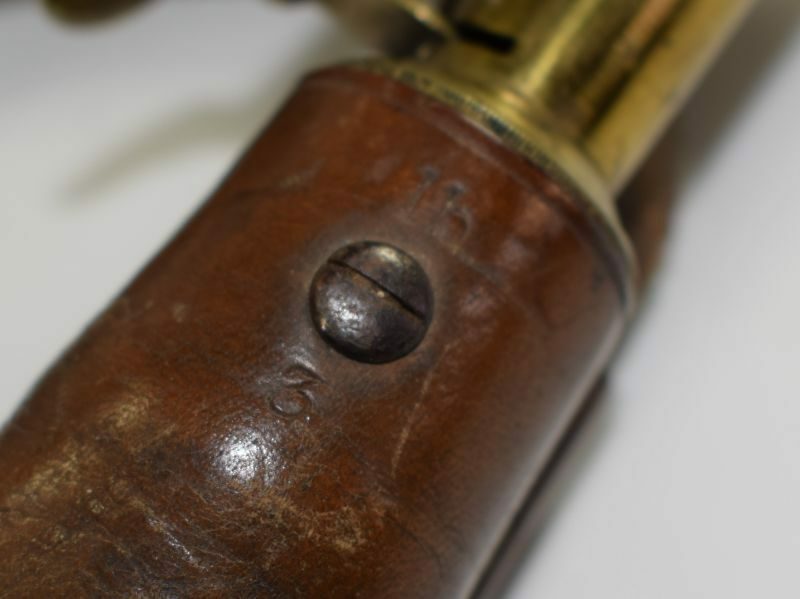 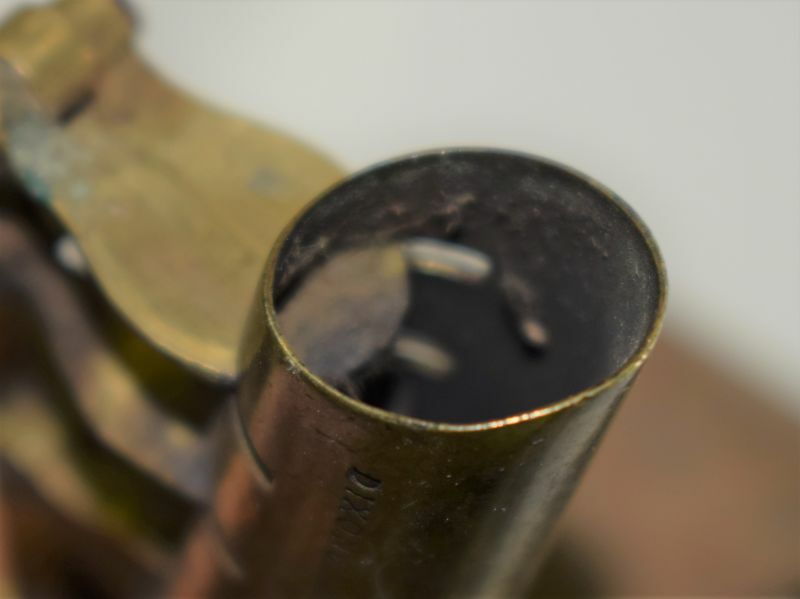 The brass shot measure is in lovely order and maker marked “Dixon & Sons” this dates it to pre 1835 as after this date the name changed to “John Dixon & Sons”. 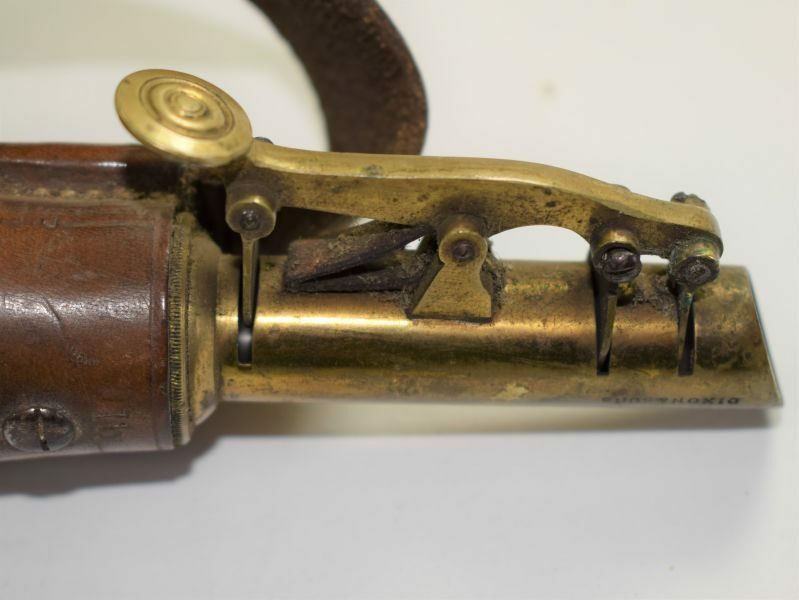 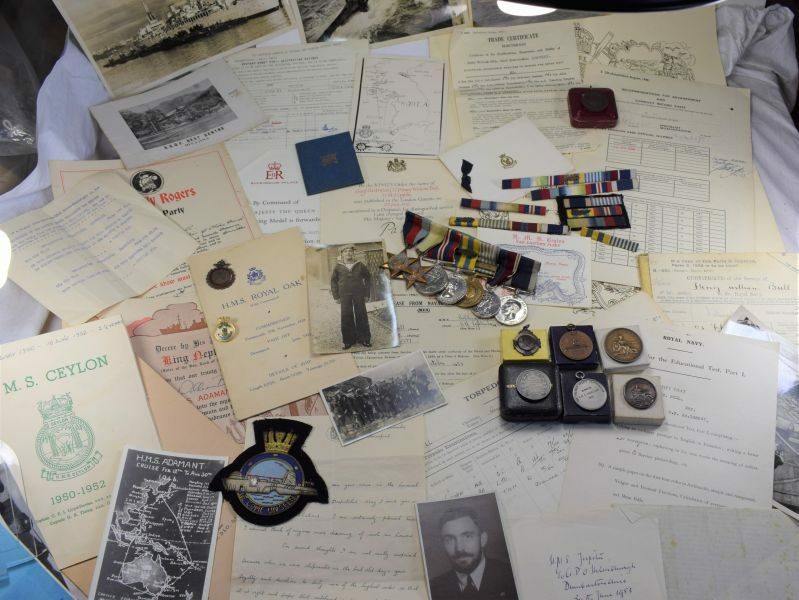 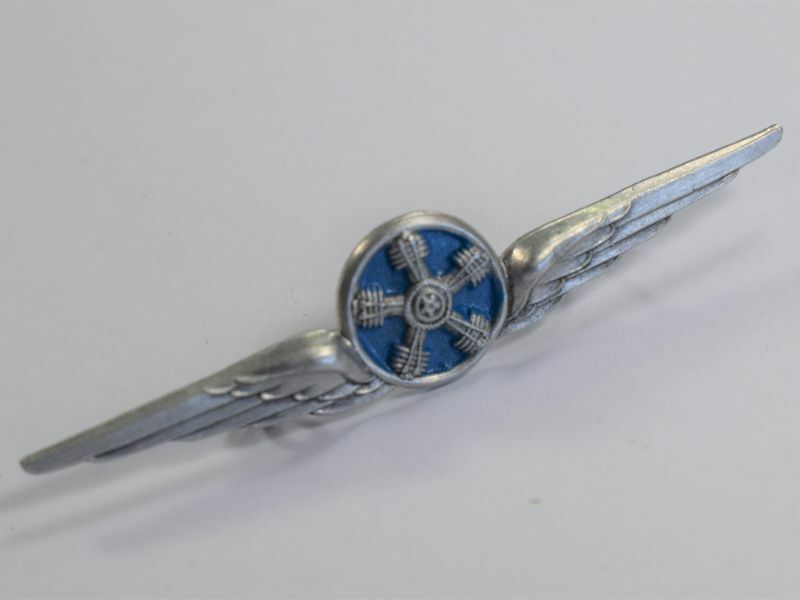 A nice item in amazing condition considering it is over 180 years old.